A cosy bohemian getaway is exactly what is needed in the heart of Kings Cross, London to slow down the pace of life, a place to enjoy a speciality coffee. Moroccan inspired brunches or a freshly made to order juice. 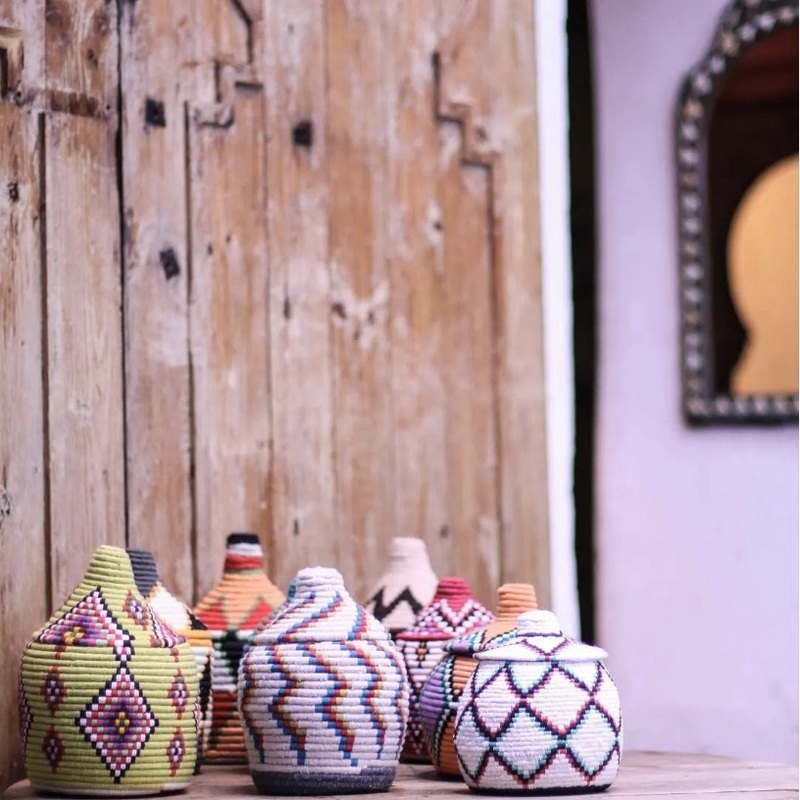 Or if you are looking for handmade Moroccan pottery, woven baskets or rugs...well HoM is where the heart is. We serve the finest coffee from Terrone & Co roasters, through our La Marzooc espresso machine, and use Guernsey cows milk from Estate Dairy, the result is a beautifully rich fruity flavour. Life is juicy so give it a squeeze, we are are all about healthy drinking, we don't get our fruits delivered, we select our fruits daily and make them to order, choose from 6 juice blends or 5 smoothy mixes. Before we talk about Moroccan inspired dishes, it essential to know that we have respectively taken smashed avocado on toast to the next level. We couldn't find the words to describe our menu so please scroll down to view. "Had a lovely afternoon here! very friendly baristas and amazing food. consider me a loyal customer from now on!" The most amazing place ever for vegan and vegetarian options. I had salmon, avocado and sourdough bread for lunch it tasted amazing. I highly recommend. Also the staff are lovely and sweet. "Great tasting coffee deserves a daily visit." "The coffee I had was great and the quesadillas were very tasty. A nice place to have a coffee and a snack with plenty of natural light." "A stunning little bar, super comfy, run from super friendly people. Love this place them not only for their delicious dish, but also for theirs proverbial hospitality. Highly recommend." House of Morocco is one of my favourite places in London!! Love the coffee and food (especially their falafel wrap- so good!!). The staff is super nice as well- always positive and smiley. "Lovely food, I especially enjoyed couscous salad - it’s quite big so enough for lunch even for people with bigger appetites." 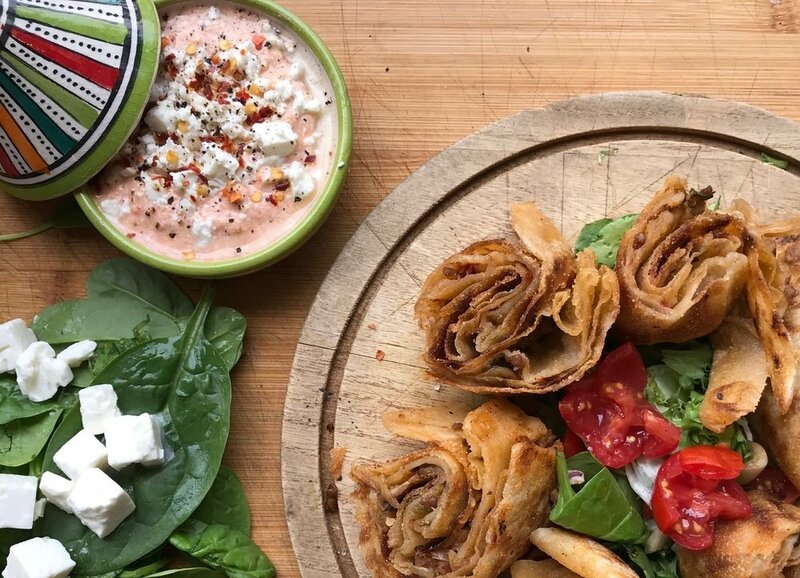 3 combo dip served with pitta bread. Partnering with Terrone Coffee, The only Italian speciality coffee producer in the UK to roast beans in Italy-in a refurbished 1950s Vittoria machine with a customised flame that doesn't hit the beans directly. The result is a slightly more fruity and sweet blend. Avocado, banana, flaxseed, honey, milk. For centuries Morocco has been making artisan handmade pottery & rugs, with timeless, vibrant patterns and textures. HoM works directly with the makers to curate for bohemian chic living. SHOP NOW on Etsy. Timeless rugs handwoven in the Atlas Mountains, every rug is one of a kind and hand picked by HoM. 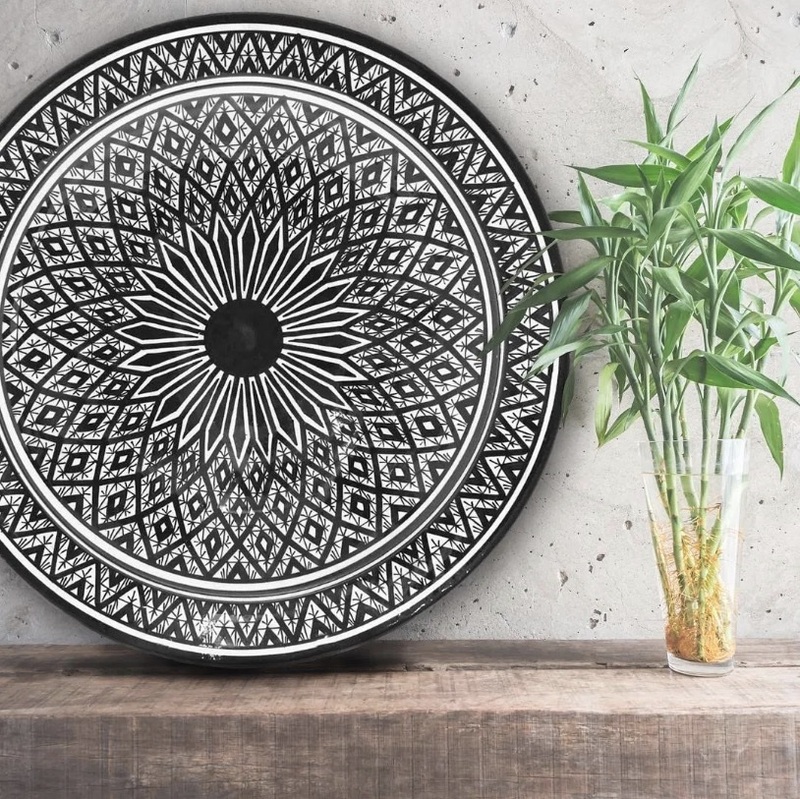 Handmade and hand painted, in the famous pottery city of Safi, who are masters of their craft. Berber women carefully wrapped wool around wicker, creating these stunning geometric patterns. Old school Arabic funk we love listening to whilst enjoying a flat white. © 2019 House of Morocco.